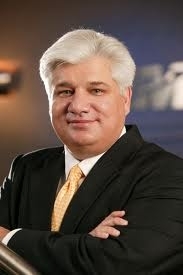 RIM CEO: If they can’t deal with the Internet, they should shut it off | BlackBerry Blast! In what is described as a fiery interview, RIM Co-CEO Mike Lazaridis lashed out at governments who have said they will ban the BlackBerry devices. "This is about the Internet," Mr. Lazaridis said. "Everything on the Internet is encrypted. This is not a BlackBerry-only issue. If they can't deal with the Internet, they should shut it off." "We have dealt with this before," Mr. Lazaridis said. "This will get resolved. And it will get resolved if there is a chance for rational discussion." Interestingly, some of the governments are now recommending the iPhone over the BlackBerry. What does that say about the security of the iPhone?